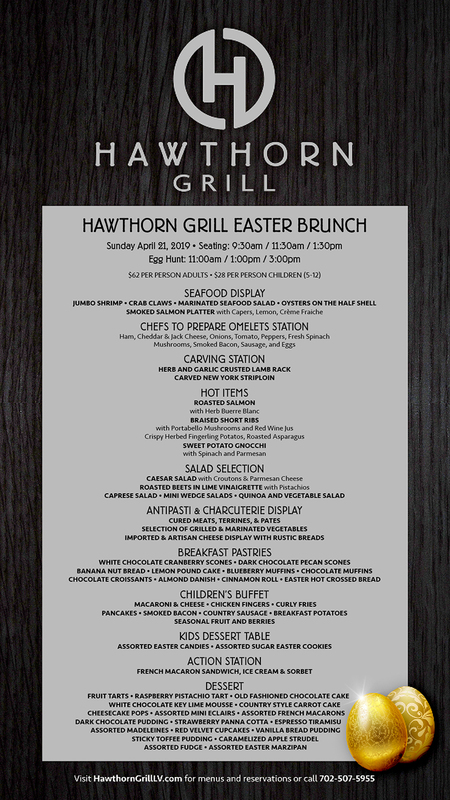 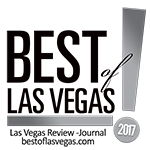 Hawthorn Grill is open for Breakfast, Lunch, and Dinner! 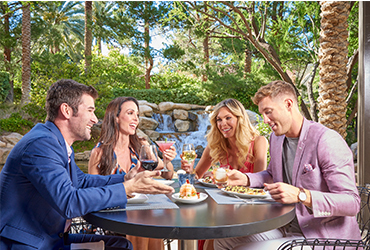 Join us for Hawthorn Bar & Patio Happy Hour served 4 pm – 6 pm Monday – Friday featuring 1/2 off select drinks and bar menu items & live entertainment 4 pm – 8 pm on Fridays. 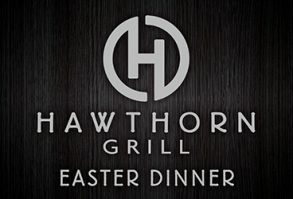 Visit HawthornGrillLV.com for complete information about our new signature restaurant. 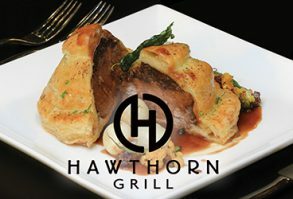 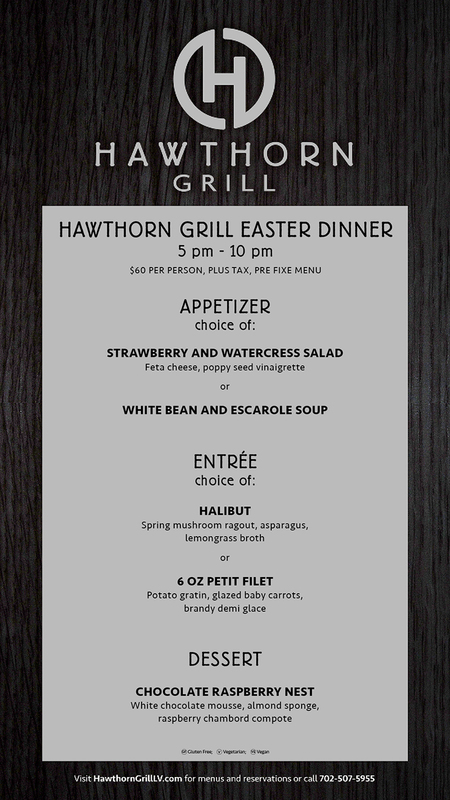 Enjoy our Beef Wellington Dinner Special at Hawthorn Grill Steakhouse in Summerlin Las Vegas for only $52. 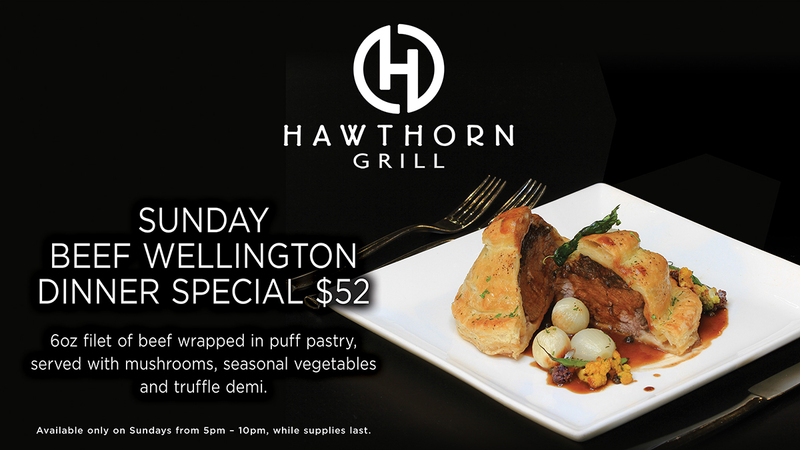 6oz filet of beef wrapped in puff pastry served with mushrooms, seasonal vegetables and truffle demi.